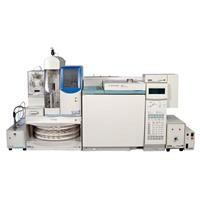 Our VPH Analysis System is GC made easy. Use one of our preconfigured systems for analysis of volatile petroleum hydrocarbons (VPH) in water, soil, and solids based on the Massachusetts VPH and similar methods. Customize your system for specific applications with our expanding line of GC detectors, sample introduction instruments, and autosampler. The System VPH is a complete package tailored to measure aromatic and aliphatic hydrocarbons in environmental samples using the Massachusetts VPH and similar methods. This system can also be customized for analyzing BTEX and other aromatic compounds, volatile gasoline range organics (GRO), and volatile diesel range organics (DRO). The System VPH and System BTEX are identical to the System VOC but are customized for analyzing aromatics and aliphatics by using the tandem PID/FID detector combination. The PID and FID detectors installed in series using OI Analytical’s patented tandem configuration generate simultaneous aliphatic and aromatic chromatograms in a single analysis. The PID/FID is the required detector for many regulatory methods such as USEPA Method 8015, Massachusetts VPH, and many GRO methods. Like the System VOC, many used methods in the world specify PID/ FID tandem detectors for VOC methods. Principal applications for the System VPH include: Massachusetts Volatile Petroleum Hydrocarbon (VPH) method; benzene, toluene, ethylbenzene, xylenes, and other aromatics (BTEX); USEPA Methods 602, 8015, and 8020; GRO and DRO; leaking underground storage tank monitoring; fuel spills in soils; combined total leachate program; fuels in water (wastewater); ISO 15009 and 15680; and standard methods 6200C. Includes installation and startup using appropriate standards or methods in systems delivered in the U.S.